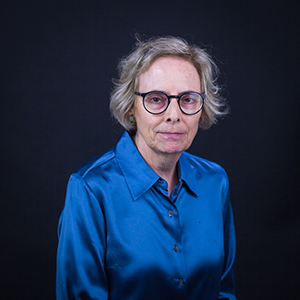 Barbara Rose Lange is Associate Professor of Ethnomusicology at the Moores School of Music, University of Houston, where she teaches courses in ethnomusicology and music history. Professor Lange has received grants and fellowships from Fulbright, the International Research and Exchanges Board, and the American Council of Learned Societies. She held a Mellon Fellowship at Cornell University. She specializes in the music of Central Europe and of the Roma (Gypsies). Her academic degrees include the PhD in ethnomusicology from the University of Washington, an MM in viola performance from the University of Wyoming, and a BMusEd from Montana State University. Professor Lange is author of Holy Brotherhood: Romani Music in a Hungarian Pentecostal Church (Oxford, 2003). Her articles on Romani, Hungarian, and Central European music have appeared in many publications, including the Journal of American Folklore, Ethnomusicology, and The World of Music. She has written on early digital ethnomusicology. She has also researched avant-garde music in the United States; her articles on the topic appear in Perspectives of New Music and Critical Studies in Improvisation. Professor Lange is currently researching a period of experimentation with folk and vernacular music that took place in Slovakia, Hungary, and Austria between 1989 and 2008.